This is an HTML5-specific input type. 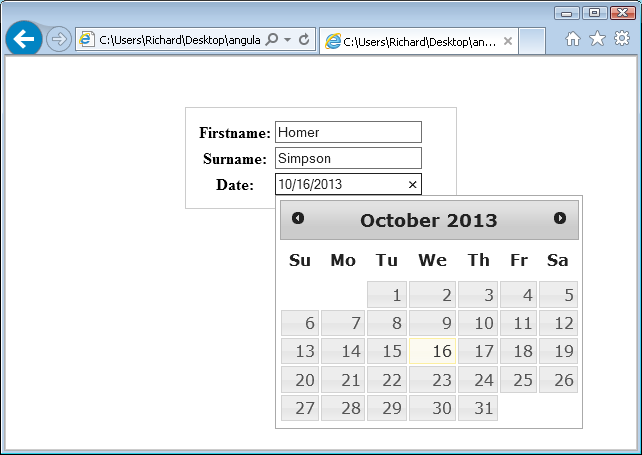 It will only render as a date picker in HTML5-compliant browsers. And even then, only in some HTML5-compliant browsers (Chrome works, IE 10 and Firefox do not). 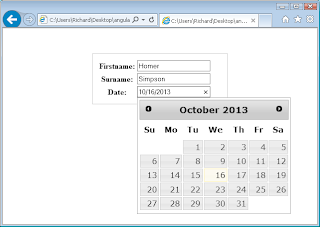 IE8 will fall back to a text box. That's only a minor tweak over what Metawidget generates anyway, so we can plug-in a WidgetProcessor to process the generated widget and add ui-date. If the required HTML was radically different from what Metawidget usually generates (say some nested divs) we could plug-in a whole new WidgetBuilder.